Take Your Own “Staycation” Right Here in St. Augustine! 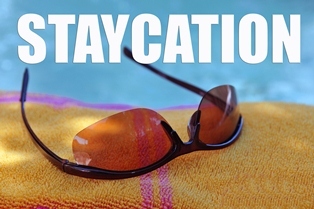 If you would like the benefits of a vacation without all the stress and costly travel, you may want to opt for a “staycation”! Popularity of the staycation – a leisurely vacation spent close to or at home – has increased since the economic recession and folks are now realizing they can have just as much fun and relax more than they tend to do on an expensive, long distance jaunt. Luckily, we live in a city that is a popular destination for tourists and offers an abundant array of options for vacationers. No matter your vacationing style – rugged and outdoorsy all way to tranquil and relaxing – planning a staycation in St. Augustine is incredibly easy! Here are some staycation ideas for all. Adventure the high seas, just for the day - St. Augustinians live right next to beautiful waters with excellent fishing. 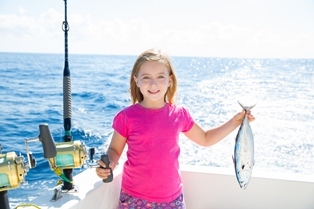 The town boasts several charter fishing companies that offer the ability to go out for a half day (four hours) or full day (eight hours) and enjoy many types of fishing (offshore, flood tide, fly fishing, etc. ), as well as take home your catch. Beautiful natural sights are a bonus on these trips. The best part: after a full day catching fish, you can relax in your own bed! A couple local charter companies include Sea Love Charters and Drum Man Charters. Put the “ahhh” in “awesome vacation” – Rather than spending vacation funds on overpriced hotel rooms and $20 airport hamburgers, purchase a package in one of our luxurious local spas. Most spas allow you to choose among a plethora of services – manicures, pedicures, facials, body scrubs, massages, algae wraps, you name it – and customize your own spa experience. A mini spa vacation is just steps away at The Spa at World Golf Village, where you can even schedule to enjoy lunch during your spa visit. Your ultimate staycation destination awaits! 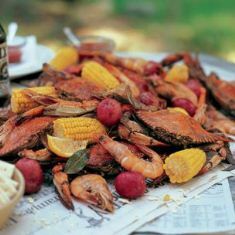 Take a New England style vacation right in your backyard – With a little creativity and a trip to the seafood market, you can create a Maryland style getaway with a crab boil right in your backyard! Boil your crab (or shrimp, clams, lobster tails, you get the idea) in a giant pot along with corn on the cob, red potatoes, smoked sausage, and seasonings. Then, spread it out over newspaper on an outdoor table and dig in. Make it a true getaway with some cold beer, your favorite summertime music and a kiddy pool to dip your feet. Check out Kyle’s Seafood Market to pick up your fresh catch! Treat the family to a campout – There are many options for campouts from tent camping in the wilderness to just roasting marshmallows and telling ghost stories in the backyard – and then heading inside for bedtime. Whatever your family’s style, this is a great, low cost way to take the family on a trip without the hassle and cost. Check out St. Augustine’s Anastasia State Park, which offers 139 camp sites for RVs and tents. Schedule a few days of, well, no schedule – Perhaps the best thing about a great vacation is the lack of stress. Rather than rushing to catch flights, enduring jet lag and doling out lots of cash, you can take a true vacation by blocking out a few days to simply relax. No housework, no work emails or calls, and no stress! You may even choose to have your meals delivered for those days, take in a Netflix movie marathon or enjoy that novel you’ve been planning to read. After all, no one ever said at the end of a vacation that they relaxed too much!